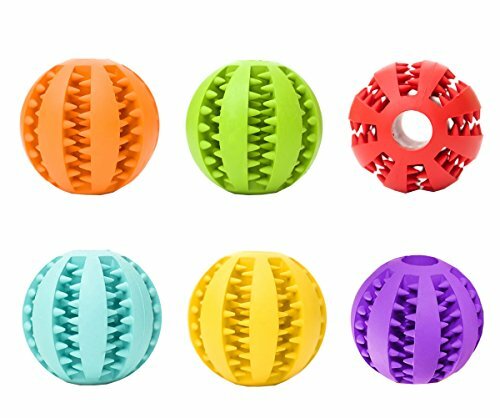 Smarter Toys for Smarter Dogs!Toy Ball with your dog's favorite treats for irresistible fun, a healthy outlet for instinct and energy, and a diversion from unwanted behavior. 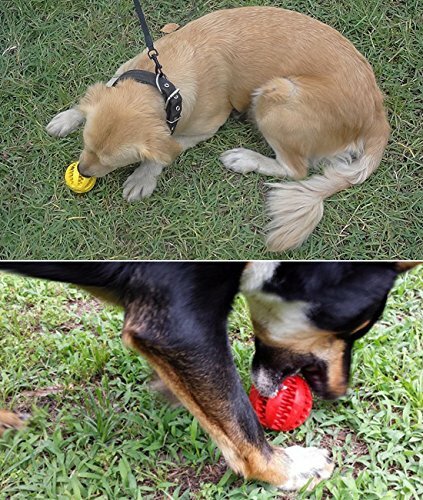 - A good toy ball can accompany dogs, diverts them from lonely when they are home alone. - Playing a toy ball will make your dog smarter! 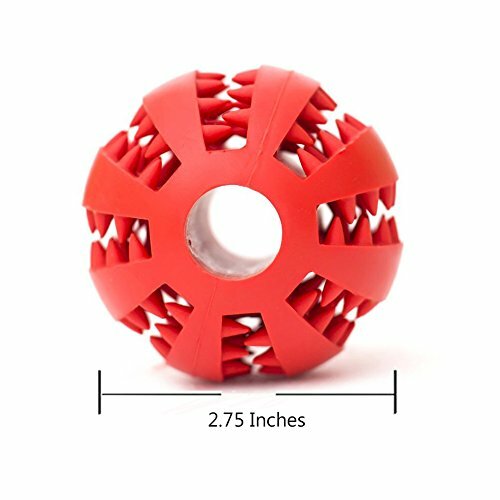 - The ball is great to roll and to throw, also very easy to clean. PLEASE NOTE:Toy must be larger than the width of your dog's mouth, proper supervision is advised when playing with all toys to ensure no accidental swallowing. The rubber dog toy is safe and durable, made from natural rubber material, which is non-toxic and non-abrasive felt,good for your pets. You can use the toy ball play with your pet pals, the bright color is easy to arouse pets' interest, promoting bond between you and your pets, also help pets' intelligence improving. 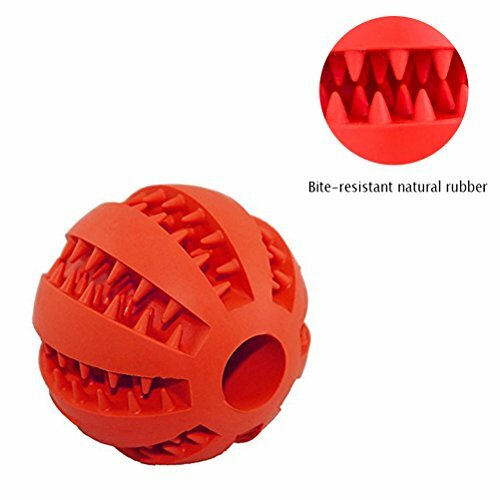 Sawtooth antiskid design of the dog balls grooves fit the tooth shape of dog, which is conducive to massage the gums, removing tartar; mint flavor, to help freshen breath. Diameter: 2.75 inch/ 7 cm. 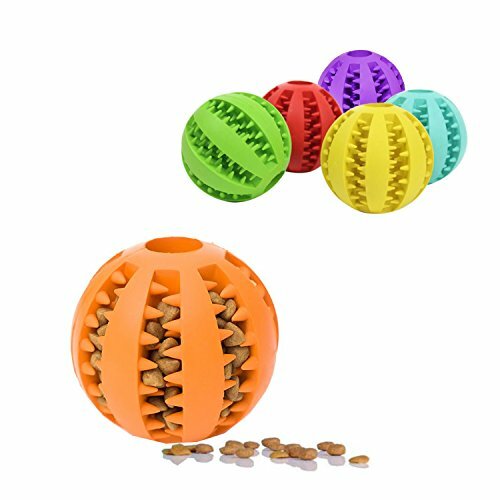 Fill the ball with your dog's favorite treats or food and watch them roll it around and try to get the treats out. 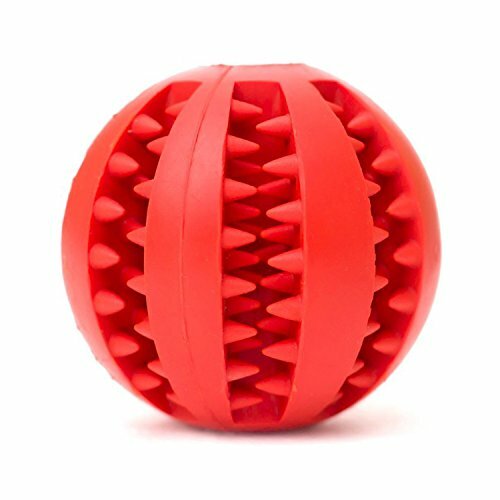 Makes this dog toy ball a gift for your lovely pet. Play with it, dog will reduce damage to furniture and feel less lonely when you are not home.